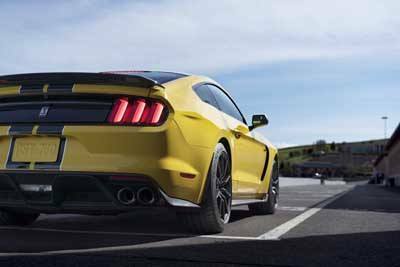 Explore the new Shelby – More Power and Torque than Ever Before. 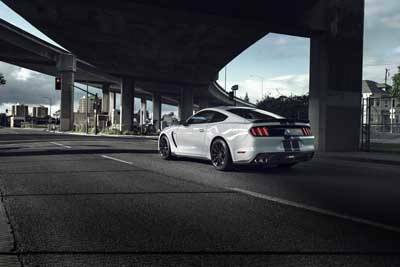 The 2019 5.2L Mustang is the latest in a long line of legendary V8s. Can’t hurt that it’s faster and more powerful than any of the Mustang GT 5.0L engines to come before it thanks to a new port fuel and direct injection. We are talking 526 horsepower and 429 lbs.-ft. of torque. A unique TREMEC® performance-oriented six-speed manual transmission comes standard. You can even select from three power-assist settings so that the steering control is right for you with its Selectable-effort Electric Power-Assist Steering (EPAS). There are five selectable drive modes; Normal, Sport, Weather, Track and Drag Strip, providing the ultimate driving experience. MagneRide™ driver-selectable dampers put the suspension control at your fingertips! The two-position exhaust flapper further enhances the power and performance of the GT350. Track Apps™ come standard and provides you with performance metrics as you drive. It displays lateral and longitudinal g-forces, acceleration times and lap times. If you plan to take your car down to a track, Ford have even integrated Electronic Line-Lock in its manual transmission models. This keeps the front breaks locked while your car is in gear to warm up the rear tires. It also has Launch Control which allows brake traction control and powertrain control to work together to help ensure a smooth, consistent start, potentially helping you get an awesome lap time! Check out the 2019 Shelby GT350s on our lot!